In 1863, Ignacy Popiel was born. He analyzed the Blackmar-Diemer Gambit. In 1863, George Mackenzie arrived in America to fight on the Union side during the Civil War. In 1863, Basterot wrote TRAITE ELEMENTAIRE DU JEU DES ECHECS, published in Paris. In January, 1863, the first issue of THE CHESS PLAYER'S MAGAZINE, by Falkbeer and Lowenthal, was published. In March, 1863, Steinitz apologized in a letter (dated March 20, 1863) to Ignatz Kolisch (1837-1889) for not repaying a loan. While Steinitz was playing a match with Blackburne, Daniel Harrwitz took over as the resident chess pro at the London Chess Club, leaving Steinitz with fewer clients to draw money from. On July 4, 1863, Samuel Lipschutz was born in Ungvar. He was US champion in 1892. 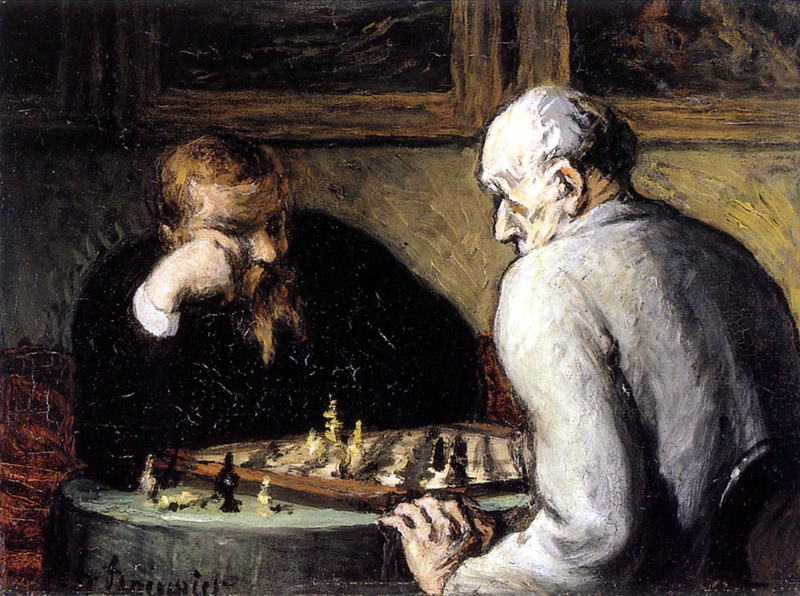 On August 31, 1863, the 3rd West German Chess Congress was held in Dusseldorf. It was won by Max Lange. On November 17, 1863, John Brown died in Bridport, England of tuberculosis. He was a chess problemist. On November 29, 1863, George Marco was born in Czernowitz. He was a chess journalist.